Classroom experiences are pretty awesome, they are unforgettable. I still remember my school days. 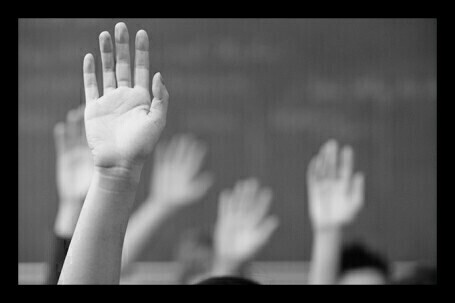 Those interesting classes and I was one of them who rise hands first for the questions asked by the teacher in the classroom. This was the best relation I had between me and my teachers. Now I’m a mathematics teacher. I truly feel good when students ask me doubts regarding my subject for taking my classes so seriously, for listening me carefully. But the question is how will you ask doubts with your teachers!! If your teacher is well experienced in his/her profession then it might not be problem for them because they might have seen thousands of students like you. What if your teacher is young and just started their career? Even if they knew the answer they might not be able to answer your question!! This is what happened with my colleague few days back! When I was walking in the corridor of my workplace, I saw my colleague taking science class. Last but one bench student stood up and asked her a doubt. Actually my collogue is a fresher,this is her first year of teaching, in spite of all these she is a teacher and she has to face her students. But the way he asked a question to a teacher inside the classroom made me think for a while. Asking the doubts with teacher/lecturer of a good habit, but extreme is bad, of course! Being a student your questions must direct towards clarifying your doubts regarding the subject, instead of trolling the teacher in front of whole class! It might be a fun for bunch of students but not to a teacher! What about the teacher! Being mentally matured one should know the way of speaking, it shows our attitude and our character not the person with whom we’re questioning. We need to try our own words on us, for better and bitter taste of it! Be kind. Be polite. Be matured! Lol! I was a major perpetrator of this crime until it started happening to me. I hope this article changes the thinking faculties of most scholars.